Editor's note: This article references notes from ROH TV episodes that have yet to air. 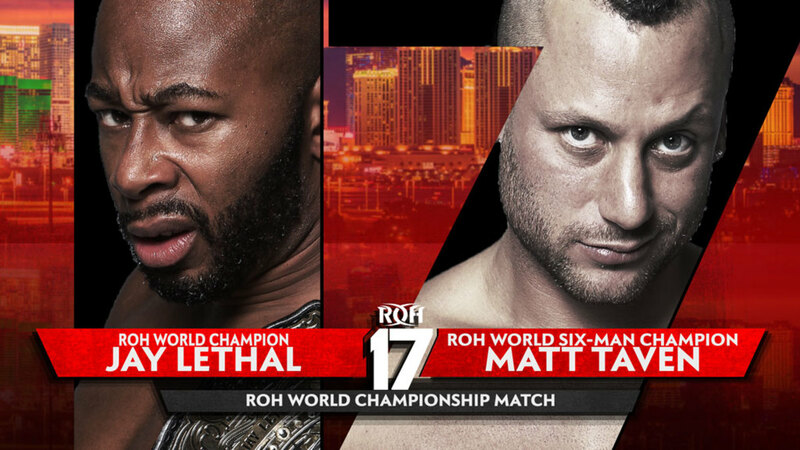 Jay Lethal defending his ROH World Championship against Matt Taven has been announced for the PPV. It's taking place at Sam's Town Live in Las Vegas, Nevada on Friday, March 15. The storyline for Lethal and Taven's feud has been based on Taven carrying around his own title belt and claiming to be the real ROH World Champion. Lethal destroyed Taven's title belt during an angle at ROH's television tapings in Lakeland, Florida over the weekend. The Kingdom attacked Lethal later in the tapings, with Taven giving him an elbow drop through a table. Lethal vs. Taven is the second title match to be confirmed for the 17th Anniversary event. ROH Tag Team Champions The Briscoes are set to defend their titles against Villain Enterprises (PCO & Brody King) at the PPV. Villain Enterprises got the title shot as a stipulation of winning last month's Tag Wars tournament. finally, get this title off Lethal already! too bad this build had to include getting Lethal vs Vinny and O'Ryan on the way. Why would you take the belt off of the guy who consistently has the belt matches on the show? If you want to let Bandido or Zack or Tracy or Haskins or Gresham or someone new and talented run with it then fine, but MATT TAVEN?! UCH.